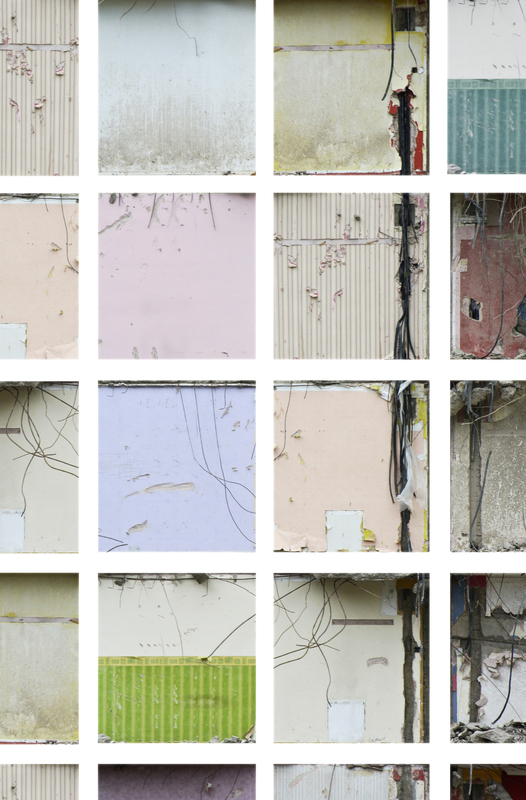 We have always been fascinated by the buildings demolished in half, revealing to the city its intimacy, and the great richness and diversity that is behind the uniformity of the facade of a building. 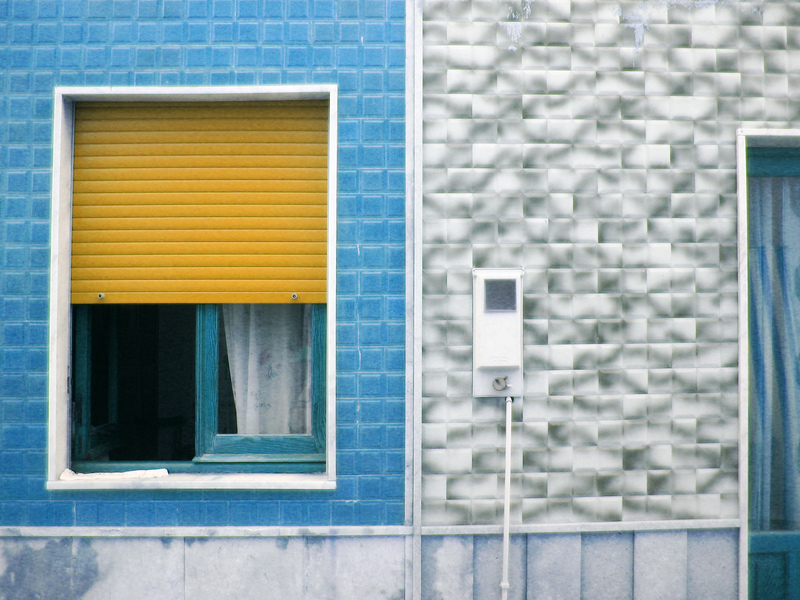 Wallpaper, colors, and of course tiles. 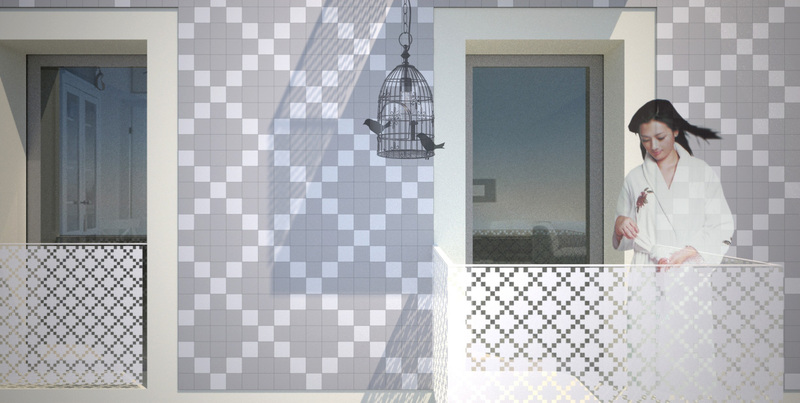 Tiles that often in the spontaneous architecture of southern Italy are taken from the innermost recesses of the house on the facade, and become its decorative and distinctive element. 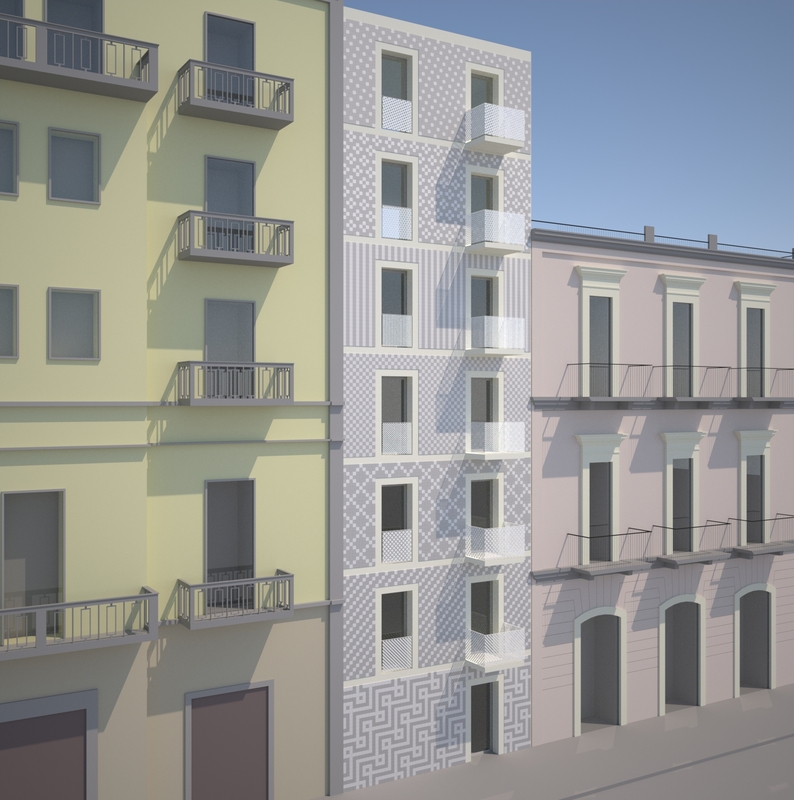 Thus, among the hypotheses developed for the facade of a small building in the historic center of Bari there is one that, according to our practice of augmented reality, transforms this spontaneous practice into a project. Here a different decorative pattern marks each floor of the facade, as if ti was an extroverted interior, while the homogeneity of tones keeps the building’s unity.